Check out the editors pick ready for some August Bank Holiday fun! 5 top classic cars listed for free by users in our Classic Cars HQ classifieds, ready to be enjoyed, ready for some TLC, ready for some winter warming too… Yes, just five cars selected from the hundreds listed that CCHQ think you’d enjoy. This 1973 Right Hand Drive Karmann Ghia is a testament to the design and build quality of Karmann during the 1970s. With just 3 previous owners and only 30K on the clock she apparently runs and drives but, needs some restoring a bit of welding to the sills and floor pan. Located in Reading with a bit of paint, body work repair and a fix for the tear in the roof she could be a top classic car once more. 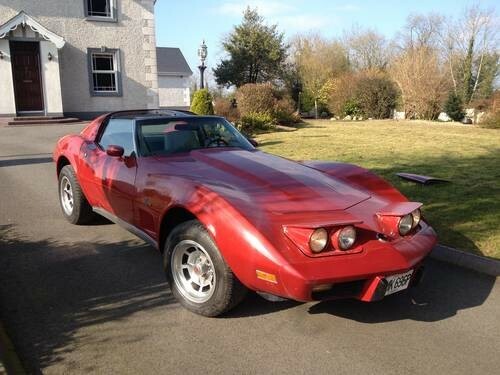 Yours for just £7,500. 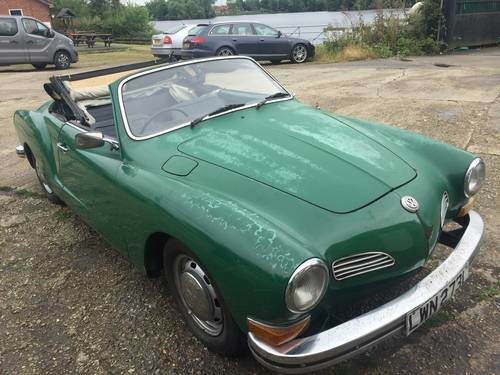 Check out the full advert here or browse more classic Karmann and VW classic cars for sale HERE in our classifieds. 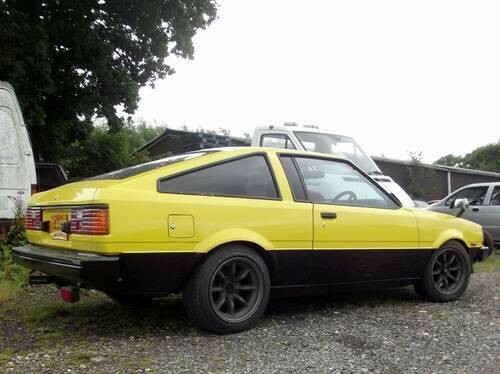 A very rare thing for the UK an early Toyota Corolla for sale here with sports modifications. Drift style classic jap car set in yellow and black she’s not for the faint of heart and isn’t your concourse classic car. Imported recently in March 2016 by the present owner, for sale with all taxes and duties paid and resprayed in Yellow including door shuts and engine bay in Japan this little beauty comes complete with period JDM features. UK registered 2T-GEU DOHC 4-cyl injection and yours for just £7,250. Check out the full ad for the Toyota Corolla or browse more classic Toyota cars for sale in the classifieds. This family owned and much loved Wolseley is a perfect classic car for someone who wants a bit of heritage. 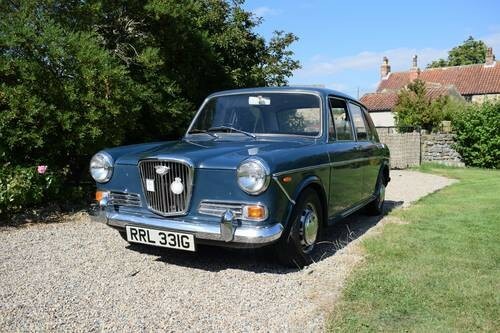 Reasonably priced and representing great value for money with low miles this genuine 1275cc twin carb Wolseley is looking for a new home. Advertised as ‘rot free’ she could be yours for just £3,500. Check out the full ad for the Wolseley 1300 or browse more classic Wolseley cars for sale in the classifieds. Check out the full ad for the Chevy Stingray or browse more classic Chevrolet cars for sale in the classifieds. 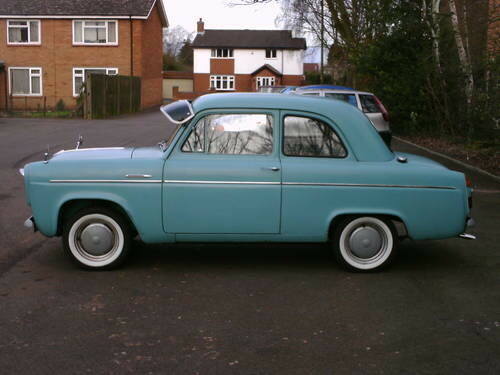 Check out the full ad for the Ford Anglia or browse more classic Ford cars for sale in the classifieds.